This blue awareness stretch bracelet fits most wrists comfortably. This bracelet has a durable stretchy band that fits snuggly around your wrist without feeling too tight. The beads are made of high quality blue and clear plastic so they look and feel like crystal. An enamel blue ribbon charm dangles from the center in a matching color. 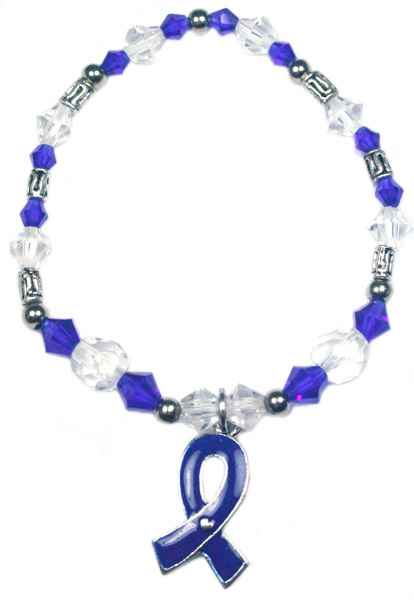 Wonderful way to show your support for Colon Cancer. Excellent for resale, gifts or to give away.